The City of Cape Town is calling on residential consumers to reduce their consumption of electricity. Highlighting that residential electricity consumption is responsible for some 43% of total electricity consumption in Cape Town, the City has launched a creative marketing campaign calling especially on those who fall in the mid-to high-income groups, and who use the most electricity, to reduce their consumption by between 25 to 40%. By means of a marketing campaign with the slogan “Electricity is expensive. 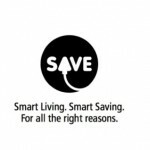 Saving is simple”, the City has devised a practical checklist and developed an information-filled website to encourage residents to save. Icologie have teamed up with creative agency Derrick to come up with the corporate identity and messaging for the campaign, ie the “look and feel” and are responsible for the implementation of the direct marketing component which will involve amongst other things advertising in mainstream and community papers and radio, the dissemination of electricity saving flyers together with rates accounts, awareness posters at pre-paid electricty vendour outlets and messaging on vendor slips, dissemination of print material to schools, libraries and other venues and direct community engagement via presentations at community meetings, exhibitions at centres and public events and a Schools Awareness Campaign. Hot water accounts for almost 40% of your electricity bill. Turning down the thermostat by a degree or two will save you 5% on your electricity bill. In most cases, the thermostat is located in the little cover over the electrical element of the geyser. Switch off the electricity circuit at the mains, undo the cover, and turn down the thermostat. Or hire a plumber/electrician to help you. Take a short shower instead of a bath. Only fill the kettle with as much water as you need. Wash a full load of dishes, rather than one dish at a time. Wash clothing in cold water. Turn appliances off at the wall rather than leaving them on standby as this can still draw about 6% or more electricity. Drop pool pump operating hours to 6 hours in summer and 4 hours in winter. Clean filters regularly, and consider a pool cover and turning off the pump entirely in winter. Space heating in winter is a big power ‘guzzler’, and the same for summer cooling. Use oil heaters with thermostats and avoid under-floor heating. Wear warmer clothing. In summer use a fan rather than air-conditioning. Cape Town water bylaws limit shower flow rates to no more than 10 litres per minute. To test this at home, hold a bucket under the showerhead for 12 seconds. If there is more than 2 litres in the bucket, then your showerhead is inefficient. A good, modern product will save both water and electricity without compromising your shower experience, and the saving pays back the investment within a few months. 7. Insulate the geyser with a geyser blanket and insulate hot water pipes leading from the geyser to maximise heat retention. Compact Fluorescent Lamps (CFLs) use 6 times less power than old incandescent bulbs, and last much longer. Note that CFLs contain small amounts of harmful chemicals, so it’s best to take them to safe ‘drop off’ points at retailers like Woolworths or Pick ‘n Pay. Of course, switching off lights in unoccupied rooms is an obvious way to save. 9. Install a solar water heater. It uses the sun to heat up your water, saving 25% or more on your electricity bill. With rising electricity tariffs and subsidies from Eskom, the payback period is no more than 3.5 to 5 years. Ceiling insulation can keep the home 5°C warmer in winter, and 10°C cooler in summer. More comfortable indoor temperatures mean less need for electrical heating and cooling, with savings of up to 65%. Insulating other parts of the house also helps (e.g. stopping heat loss through windows, walls or under doors), but the highest savings are from ceiling insulation. The City also leads a range of other initiatives to encourage energy efficiency. An Energy Efficiency Forum has been set up for large commercial and industrial electricity consumers to provide managers of offices, shopping centres, hotels and other commercial and industrial buildings with practical knowledge on energy efficiency solutions. The City has developed Green Building Guidelines and is also working on a programme to support the mass rollout of solar water heaters. The City’s Youth Environmental School (YES) programme already reaches about 1 600 schools per year, and electricity saving worksheets for learners, a teachers guide and an electricity awareness play have been developed as part of the campaign. In addition, the City’s ‘Smart Living’ programmes reach thousands of public and private sector companies and residents each year. Public lighting, traffic lights and the City’s own large office buildings are being retrofitted to be more energy efficient. The City is currently undertaking energy efficiency retrofits of some of its largest buildings, namely Durbanville, Fezeka, Ottery and Plumstead Civic Centres. A reduction in energy use in these buildings ranging from 12% to 18% (depending on the building) is expected to be realised in coming years. An audit of the City’s flagship building, the Civic Centre, has been completed and a tender for the first phase of the energy efficiency intervention for that building is in preparation. The city has long recognised the importance of buildings as energy consuming infrastructure and their impact both on electricity consumption and on the carbon emissions of the metropole.